During this year SHEEP-ISLE will regularly update a research project initiated by Nordic Gene Bank, and in Norway carried out by Norsk Landbruksmuseum. As mentioned in SHEEP-ISLE’s article: Feral Sheep/Spel-sheep, 1000 years, the breed has from a genetic point of view crossed the Norwegian Sea several times between Iceland and Norway ( 1928, 1970 and 2000 ). This means that we today, roughly spoken, have three sub-breeds of spel-sheep. Because the breed is a " multi-role-breed " ( wool, fleece and meat ), the genetic diversity, if any, is of high interest for all breeders. Origin and genetic diversity of North European sheep breeds. 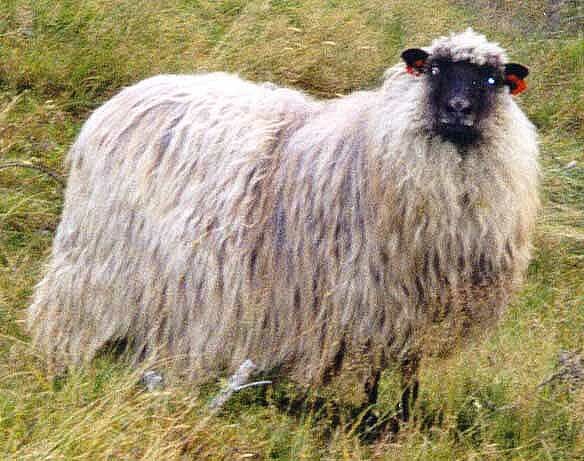 A research project on origin and diversity of North-European sheep is initiated by Nordic Gene Bank, Animals in 1999. The aim is to provide information for making decisions on management of genetic recourses and conservation of North-European sheep breeds that are currently bred in the Nordic countries and neighbouring regions. This will be achieved by collecting avd analysing data on both cultural history and background of the breeds as well as obtaining information on genetic profiles of the breed using both visible traits and microsatellite markers. The project involves sampling and analysis of genetic markers of a total of 32 sheep populations in the five Nordic countries and surrounding regions, including Greenland, Faeroe Islands, and the three Baltic countries. The project will be co-ordinated with already existing projects on sheep diversity in Norway and Finland. Blood samples from 30 animals ( 20 females and 10 males ) from each group will be collected and background information on both the breed and individual animals will be recorded according to guidelines from FAO. Genotypes will be recorded and all frequencies estimated at each locus. The overall results will be analysed with statistical methods designed for estimation of genetic distances.